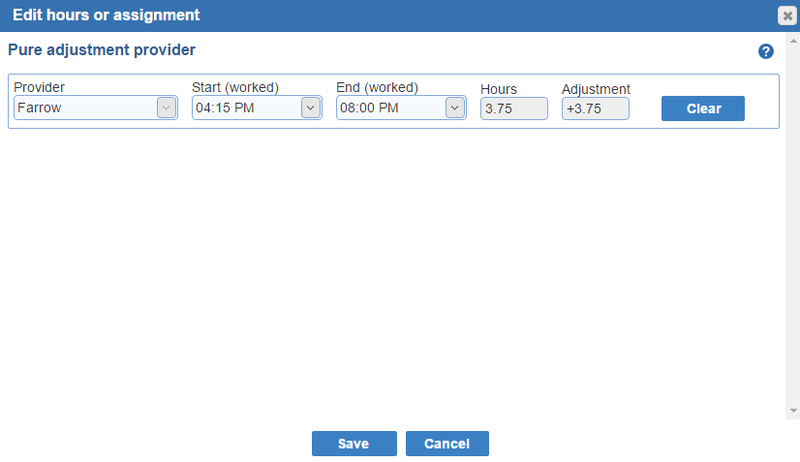 You have the option to adjust the start and end time of your shift and include a reason. Click on a worked shift to 'Edit hours or assignment' from the shift menu. Select the 'Start and End' times to adjust. 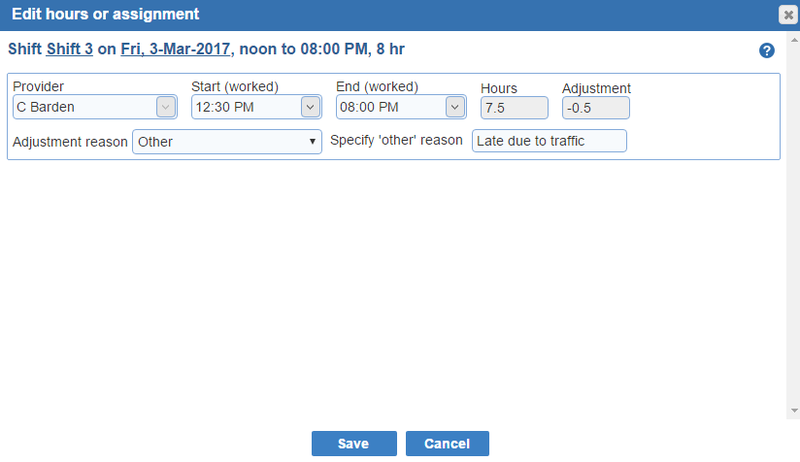 In the 'Adjustment reason', you can select 'Busy', 'Slow', 'Sick', 'Relief late', 'Under staffed', 'Time change', and 'Other'. You can specify a reason for 'Other'. 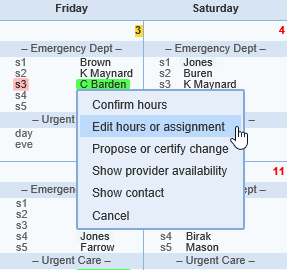 Also, you can add yourself to any shift you're not scheduled to work in the 'Pure adjustment provider' section. Pure adjustment provider: Picking up extra hours outside of your scheduled shifts. You can use the 'Pure adjustment provider' by selecting the 'Edit hours or assignment' option when clicking on a provider's name in the 'Master' tab. Select the start/end times. Lastly, click the 'Save' button to apply the change. 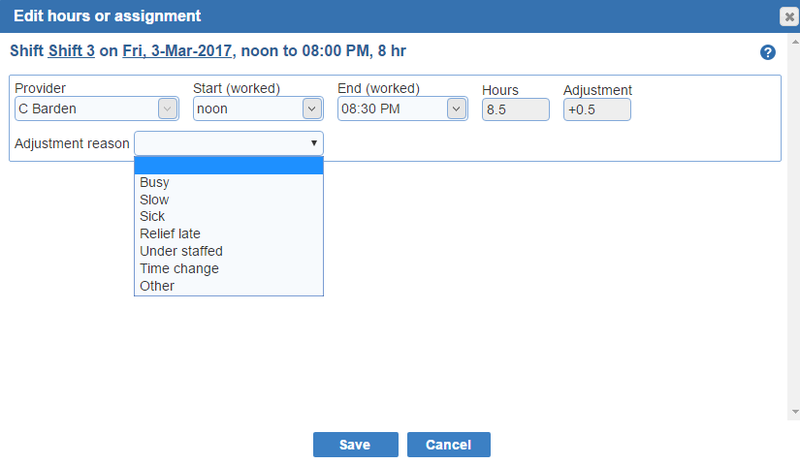 The time range for pure adjustment shift assignments is always displayed in the 'Master' schedule.